With the economic and political rise of East Asia in the second half of the twentieth century, many Western countries have re-evaluated their links to their Eastern counterparts. Thus, in recent years, Asian German Studies has emerged as a promising branch within interdisciplinary German Studies. 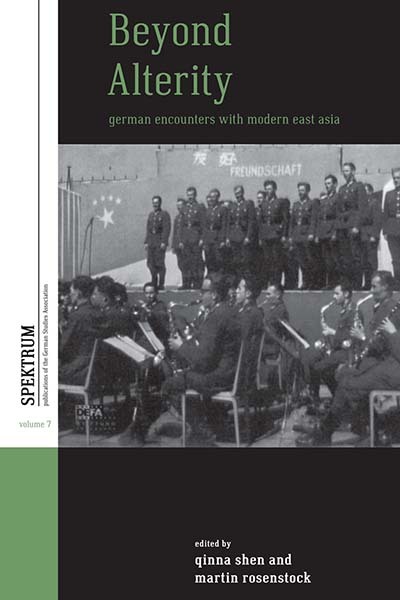 This collection of essays examines German-language cultural production pertaining to modern China and Japan, and explicitly challenges orientalist notions by proposing a conception of East and West not as opposites, but as complementary elements of global culture, thereby urging a move beyond national paradigms in cultural studies. Essays focus on the mid-century German-Japanese alliance, Chinese-German Leftist collaborations, global capitalism, travel, identity, and cultural hybridity. The authors include historians and scholars of film and literature, and employ a wide array of approaches from postcolonial, globalization, media, and gender studies. The collection sheds new light on a complex and ambivalentset of international relationships, while also testifying to the potential of Asian German Studies. Qinna Shen is Visiting Assistant Professor of German at Miami University in Ohio. She received her Ph.D. in German Literature from Yale in 2008 and then went on to teach at Miami University from 2008 to 2011. Between 2011 and 2014, she held a visiting position at Loyola University Maryland. Her research focuses on twentieth- and twenty-first-century German film and literature, folklore, and the recently established field of Asian German Studies. She has published in peer-reviewed journals and edited volumes. Her book, entitled The Politics of Magic: DEFA Fairy-Tale Films, is forthcoming with Wayne State University Press. Martin Rosenstock is Assistant Professor of German at Gulf University for Science and Technology in Kuwait. He received his Ph.D. from the University of California, Santa Barbara and has held visiting positions at Iowa State University and the University of Connecticut. He has published on the depiction of crime and detection in literature and film as well as on German colonial literature in Monatshefte and Colloquia Germanica.